» Forum » Tech » Tech: Early solid state » Gottlieb Caveman - Latest EPROMS?? » Gottlieb Caveman - Latest EPROMS?? Gottlieb Caveman - Latest EPROMS?? How can one tell if you have the latest EPROMS installed in an early Caveman ? The one's I have are labeled P810-S1 and P810-S2. As far as I know there is only one version. By the way: you pictured the sound ROM's at the soundboard. 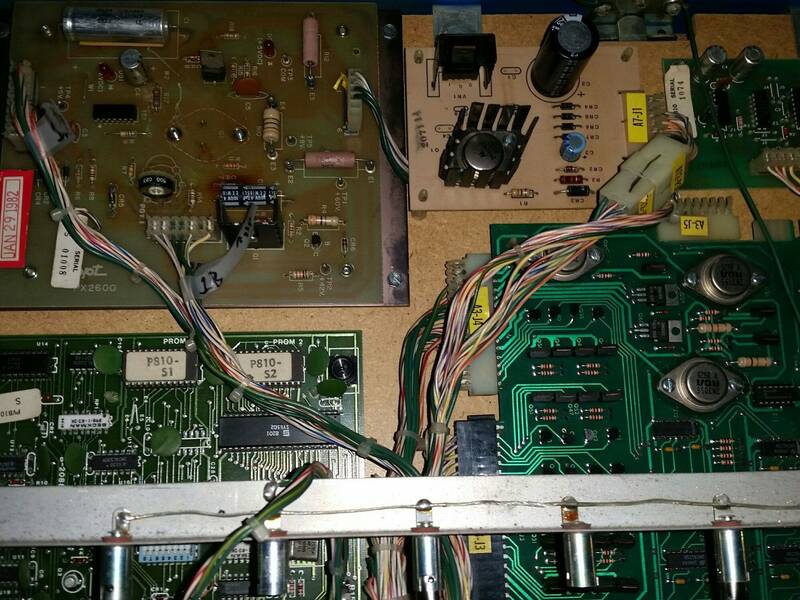 You need to exchange the game ROM located at the CPU board if you want to use the updated ROM (PV810_2). So the SOUND ROM AND GAME ROM versions have to match? You can leave the sound rom's as they are. There is no update for them. If desired you can replace the gamerom at the CPU board for the updated PV810_2 version. The soundboard with the Original ROM's will work fine with the updated gamerom. Thanks. I think I'll give it a try! Gottlieb rarely released ROM updates, so most of the time, the ROM that came with the game was the only version that was released. Also, make sure that the battery has been removed from the MPU and that there is no battery damage on the board. 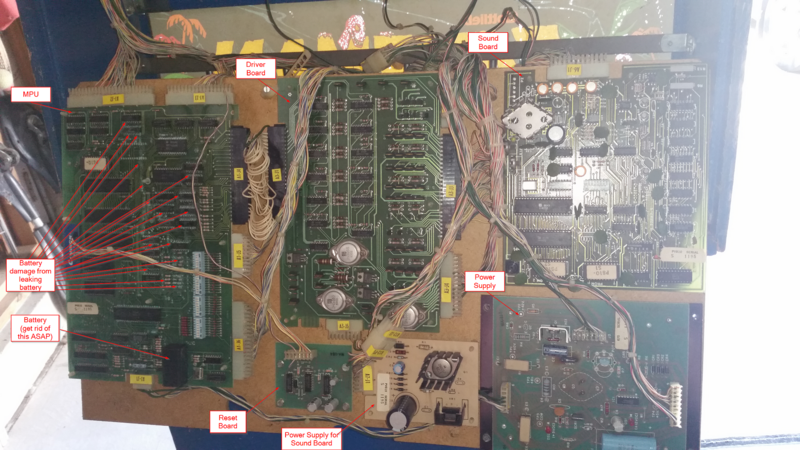 That should give you an overview of the game system and photos of the boards so you can identify them. Caveman-specific information is rather thin, unfortunately. Kudos to OP for giving the often-badmouthed Caveman the love it deserves. "Don't eat me!" The battery has been replaced by the prior owner(s) with something else that appears to be a lithium cell. Boards look very clean but haven't looked at them with a fine tooth comb yet. I just nabbed a Caveman too! Its pretty fun, the sounds are hilarious. Would anyone be able to post a picture of the joystick connector? A couple of wires are broken off and I need to know where they go haha. The male side is what I need. Thanks!!! 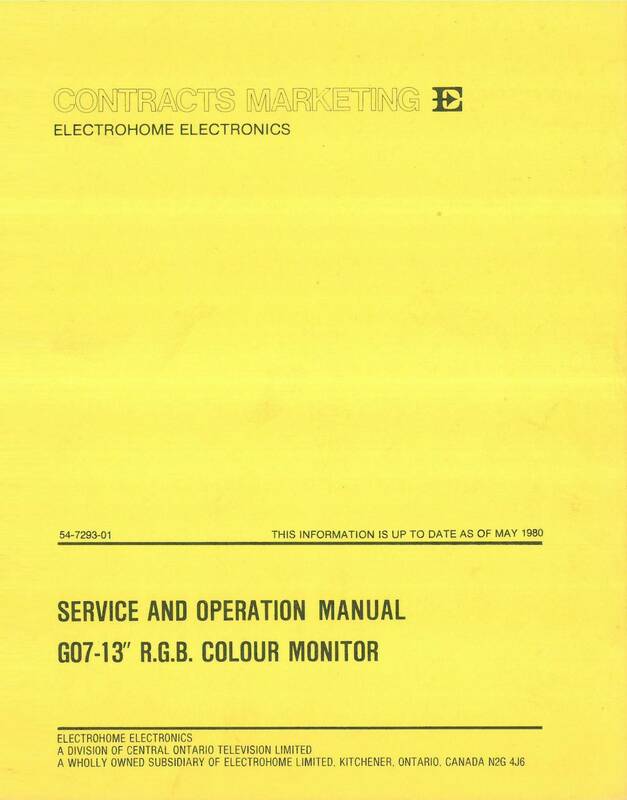 I've found a manual for the monitor used in Caveman. Here is a copy of the file for everyone who needs it.